From pregnancy to your advancing years! From improving strength during your pregnancy to prepare your body for child birth through to increasing mobility and suppleness in our chronologically advanced client groups, Pilates can benefit all. At Pilates plus we run antenatal classes through to the other end of the spectrum – classes more suitable for those more mature but young at heart – some of our clients are 80. 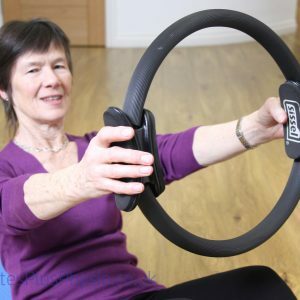 We hope to dispel any worries that you may have if you are thinking about coming along to Pilates to give it a try for the first time, no matter what stage of your life you are at. 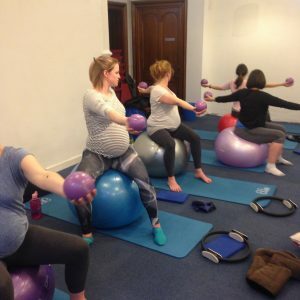 As anyone who has been to the antenatal class at Eric Liddell will tell you, this is a class where you really feel like you are exercising, each week we focus on a different area/aspect of the body specifically working on muscles that will prevent pain, keep you mobile and make you stronger during pregnancy. We encompass the essential pelvic floor exercises, breathing and some relaxation techniques and all in the safe hands of a physiotherapist. All our physios have carried out extra training to assist with their knowledge in teaching these classes. Equally our over 50’s class has been expertly designed by our team at Pilates plus to deliver a challenging yet achievable class to help improve alignment, pain, mobility and balance in your advancing years. Below are some of the facts for these two specific client groups. Can you still practice Pilates with a baby on board? Absolutely, but we do have to make a few modifications to adapt to the changes in a pregnant woman’s body. Many of our clients continue to practice right up to their due date, much to the admiration of their fellow class members! This blog will look at the many benefits of continuing Pilates practice during pregnancy as well as giving some ideas for exercising safely during pregnancy. There are some reasons not to exercise during pregnancy and it is always a good idea to check with your physiotherapist or midwife if you have any concerns. Generally, exercising during pregnancy is known to benefit both mother and baby – and can have long lasting health effects for the baby long after it is born. Studies have shown that if the mother’s heart rate is raised, the fetus’s heart rate also goes up. So by keeping yourself fit, you are giving your baby a wee workout! In general, it is advised to keep the intensity you exercise at to a moderate level. Make sure you can still speak in sentences while working out. You are recommended to continue an exercise programme from before pregnancy and stop any exercise where there is a risk of impact. If you were totally inactive before pregnancy, then it is advised to start some form of gentle exercise. Pilates is a great gentle exercise and can be adapted to any level, even if you have not done it before pregnancy, to exercise the muscles effectively and safely. It is a good idea to start pelvic floor exercises before you even get pregnant, but if you’ve missed that opportunity, it’s definitely better to start before the birth than after the birth. Pilates during pregnancy can help you get best function from your pelvic floor while performing the exercises. A well functioning pelvic floor which is both strong and mobile can actually aid the delivery by encouraging the baby to turn effectively as it is being born. If the pelvic floor is in good condition prior to the birth, it can really speed recovery and limit effects of continence problems after the birth. It is important to know that you shouldn’t do sit up type exercises after the first trimester of pregnancy. This is because the long stomach muscles which run from the sternum down to the pubic bone stretch to almost double their original length in pregnancy and will split apart in two thirds of women. 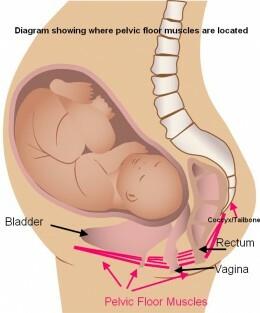 This split (rectus diastasis) is not a problem in itself – it is a natural part of pregnancy. But any sit-up type movements that strengthens the muscle in the split position can make it more difficult to rehab postnatally. You still want to maintain the control of the deep abdominal muscles and obliques, but this can be done in sitting and standing positions as well as on hands and knees (4 point kneeling) and will not create an intense pull on the muscles. We also offer specific exercises in our postnatal Pilates classes to help with any abdominal split issues and many of our clients follow through to this class post pregnancy. The antenatal classes will also give the added benefits of allowing you time to focus on yourself and your developing baby in a relaxed class which is small enough to allow you personal attention when required. 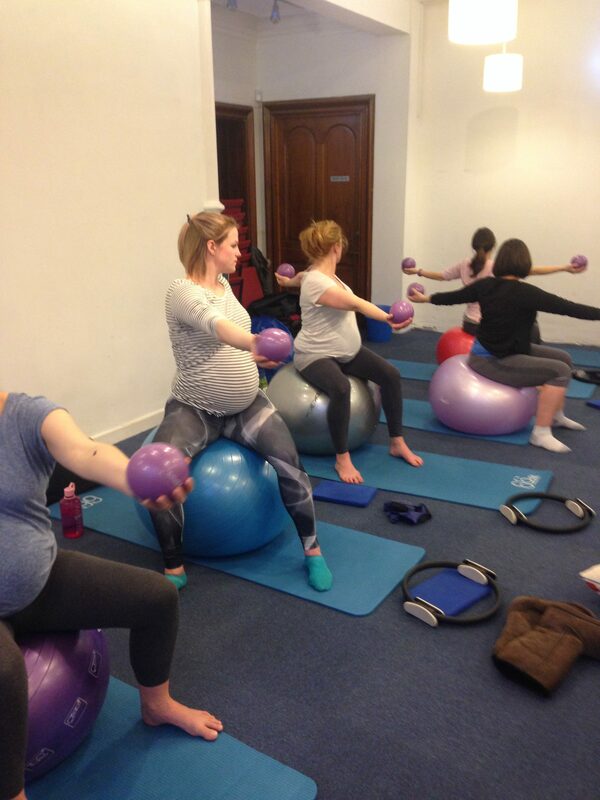 You will meet like-minded mums-to-be and get to exercise in a supportive environment where everyone in the class is experiencing similar changes to their bodies and benefiting from the instructor’s expert advice and experience. Pilates for the more mature individuals! 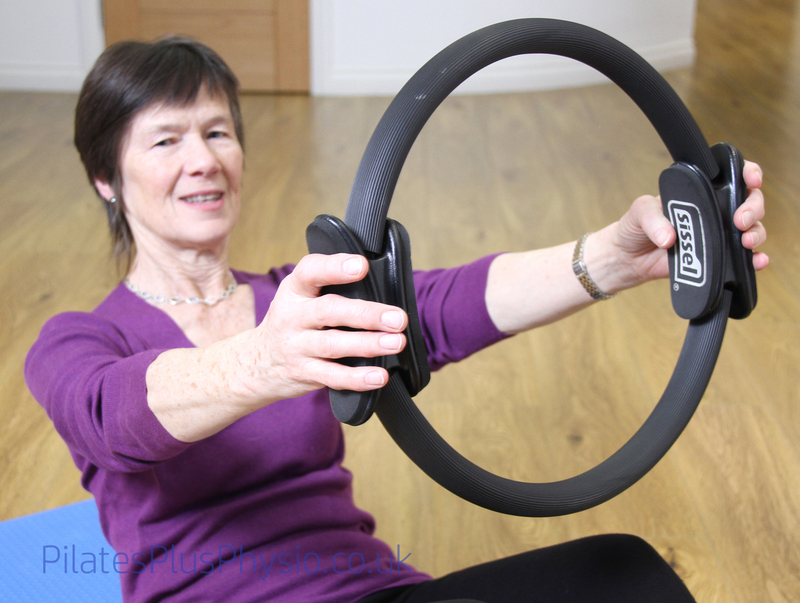 We believe at Pilates Plus our expertly designed classes can be suitable for any age group and we also individualise exercises to cater for specific patient groups e.g. those who suffer from Arthritis, Osteoporosis to general wear and tear and reduced mobility due to increasing age. From early childhood development, right through to our later years of life the ability to maintain a controlled body position whilst performing a certain task is essential to our every-day functioning. This is true for relatively sedentary tasks such as sitting in a chair to walking, reaching for something or more dynamic tasks such as riding a bike. We also have a number of clients who come to see us with Osteoporosis and are looking for a form of safe exercise to participate in. There is great evidence that weight bearing exercise can improve or maintain bone density, especially when combined with the right supplements and medication. For the hip and spine weight bearing can be achieved in standing – walking, and standing hip exercises can be very beneficial. Exercises lying on your front and lifting the shoulders (and head if able) can provide great weight bearing through the spine, and can be made harder by placing additional weights onto the spine. For weight bearing through the wrists, hand weights can be used and if able, the 4-point kneeling (hands and knees) position can be a great position to perform exercises. A good Pilates class or Physiotherapy exercise programme will include a standing element where you are encouraged to challenge and improve your balance safely, adapting exercises to your individual needs if you need more or less of a challenge. So if you haven’t signed up already or know someone you think this will benefit, why not get them to come and join us at Pilates Plus at the Eric Liddell centre and experience our classes for all.